Lynnor Bontigao always doodled as a child in the Philippines. She kept doodling all the way to college and finished with a Fine Arts degree majoring in Visual Communication. She joined a group of children’s book writers and illustrators(Ang InK) where she fell in love with children’s books. She worked as a graphic designer briefly before deciding to migrate to the US. Moving to a new country wasn’t easy and finding an art-related field in NY was even harder. So she learned programming and worked at a major financial firm for 15 years as a Programmer Analyst. When she could, she attended NJ SCBWI (Society of Children's Book Writers and Illustrators) conferences to keep the art embers burning. She is currently working as a freelance artist and focusing on her artistic roots. Lynnor is a member of the Puddlejump Collective, an international group of authors/illustrators devoted to kidlit. Lynnor is currently looking for representation. Josue Camilo Castillo, known as Camilo by his friends and family, moved to America in 2006 from Colombia. Though facing some obstacles, including learning a new language and assimilating into a new culture, he still kept in touch with his roots as evident in his work. The heavy nature themes recall times at his family's coffee farm and bring the viewer back to a simpler time when Mother Nature was queen. Now, he has settled down in Linden, NJ, where he continues to emphasize that which he loves most through his work - the earth and the mystic that it conveys. A NJ artist who does a little bit of everything. Pop culture inspired paintings, pencils- and everything in between. Lisa Coppola is the owner and creator of Bevastyles jewelry. All designs are conceived and fabricated by Lisa using a combination of vintage estate jewelry and new materials like quartz crystals and raw brass. She strives to give retro jewelry a modern update making it easy to wear with the latest fashion trends. Check out @Bevastyles on Facebook and follow @Bevastyles on Instagram. BrickLove is a tag-team of Lego lovers, Arthur and Angela, that take the world's favorite construction toy and converts it into fine handmade jewelry for the discerning geek. Brick up your style with us! To see more of Art's custom Lego work, check out his Flickr. Raised on street art as well as classical painting and sculpture, the artist known only as DISTORT reveals little about his own life in words but great amounts through his work. Ekoh Dubois was born in the U.S, raised 7 years in Africa, 15 years in France, 18 years in Canada, 6 years in Hawaii, and on the U.S. mainland since 2014. He is an artist who draws from his knowledge and connection to folktales, fairytales and symbols. Ekoh’s creative way is holistic; it integrates material from the Performing Arts, Psychology, Martial Arts & Yoga, Science, Spirituality & Metaphysics. I specialize in making homemade sugar scrubs, soaps, bath bombs, and bath salts. I also have a sub-company called Little Red's Sea Beard! I sell beard oils and beard balms. All of my products are homemade and with natural ingredients. You will never be disappointed! Elijah Minton is a 26 year old acrylic painter / muralist from West Orange NJ. His work embodies his complex thought process as well as his playful approach to color. Elijah tends to focus on illustrating concepts that speak to the soul by including a bit of his heart in every painting. As a humanitarian, he volunteers to paint murals to inspire children at summer camps for the terminally ill and elementary schools. Kevin Hinkle of Asbury Park is a photo-based artist whose work has been exhibited in juried art shows including, locally, the Center for Contemporary Art (Bedminster, NJ), Montclair Art Museum’s Affordable Art Fair, the Center for Visual Arts (Summit, NJ) the Perkins Center for the Arts (Moorestown, NJ), as well as in exhibits in New York (where he received an Honorable Mention in Soho Photo’s Small Works exhibit), Maryland, Virginia, North Carolina, and at the Marin Museum of Contemporary Art, California. Hinkle’s work has also appeared in literary and arts journals such as The Tishmann Review, The Baltimore Review, Tupelo Quarterly, The Tulane Review, Grey Sparrow, The Pedestal Magazine, and Utter, several of these in conjunction with the poetry of Charlie Bondhus. In addition to being part of private collections, Hinkle’s work can be found in the corporate art collection of PNC Bank. I love painting with acrylic and drawing in colored pencil and pen. Fine details are my favorite part of any piece and I enjoy exploring different content and compositions. My Instagram is @Beccasartdesigns and Facebook is Becca Lippe Arts. A long time resident of Roselle, John is excited to participate in his very first art festival. A painting of his was included in the 2016 calendar sent to his company’s Asian clients. He hopes attendees and participants of the festival enjoy his art as much as he enjoys creating it. Just a girl who likes to doodle :) Artist for Untapped Cities. Art Deco nerd at heart. My name is Christine and I am proud to be a Roselle Park-er. This is my 2nd year exhibiting in the Roselle Park Loves Art Festival. Making jewelry is a hobby I started in college. I graduated from Montclair State University in 1994 with a degree in Fine Art. Most of the time I keep a low profile and do not have a website but over the years I have taught jewelry making to local Girl Scout troops, donated jewelry for Tricky Tray fundraisers at the High School, made jewelry as Props for the High School Musicals and I am always on hand to offer jewelry repair services. The practice of making beaded jewelry is in essence so simple yet I am always intrigued by how many unique and beautiful pieces are created from such a humble medium. Be sure to stop by my table to make a pair of earrings on September 23rd - See you there! David’s art is commentary on animal cruelty and their exploitation in the entertainment industry. With his most recent body of work, he focuses more specifically on the circus and carnival environments, where he depicts his subjects in tortured but content narratives. David is an emerging artist based in Jersey City and is involved in many group shows, annual arts festivals and commissioned murals. Masks, figuratively and literally, have always peaked my interest. You simply put it on and you are someone or something else in that time. I started playing around with creating masks based on nature themes, emotions, myths and more when I was young and my passion for it kept growing. Over the last few years I have broadened my horizons with other artistic endeavors I have worked on such as paintings and chainmaille jewelry. Incorporating all mediums together is always a fun challenge and journey for me. Nothing makes me happier than seeing the happy customer in the end take home a piece that means something to them. As an artist and art teacher I have worked with a variety of materials. For the past two years, I have become intrigued with repurposing. Vintage and modern glass and china pieces sparkle again in my glass garden creations. They are embellished and hand painted to create truly unique designs. They can be incorporated in a landscape or as an interior accent piece. I will be happy to create something special for you from your family heirlooms or china. Communication is the basis of all art. The goal of Sean's work is to take that feeling, dream, mood, or vision, and create a visceral reaction in the viewer and forging a connection. Audra Osorio is a librarian in a public library. She was born and raised in New Jersey. She loves the Garden State, especially the Shore where sand and pine trees meet. She also loves knitting, photography, reading, and Skeeball. She likes organizing meetings, planning parties, and doing things people tell her she can't do. She lives in New Jersey with her husband and furry babies. The Swear Jar is her first novel and The Unworthy Letter is her second novel. Ashley Padgett most recently served as Artist in Residence and Education Coordinator at RDG Art Studio in Des Moines Iowa where her love of pottery and decorative work combined to create her new body focusing on gender and memory. She has taught at the City of Columbia art Center, Coastal Carolina University, Kansas State University, RDG Art Studio, and the Des Moines Art Center. Her Ceramics career spans 10 years of teaching and learning in many different locations across the country. She received her MFA from Kansas State University and BFA from the University of South Carolina. Ashley lives with her husband, pitbull, and cat in upstate New Jersey. My name is Daniel Perez and I have been an artist for over 12 years. I specialize in caricatures and comic art. I create great quality art and have been hired throughout central Jersey for parties, events, markets, fairs, festivities and many more. Mustart (Ivan Petrovsky) was born in Russia and moved to the U.S. at the age of 14. He received a BFA from NJCU in 2009 and has been working as an artist ever since. Known for his diversity and evolving approach he is currently one of the most sought-after street artists in the New York area. Mustart's ability to evolve and develop based on outside cultural influences defines his unique ability to work with various people in different areas of life. Whether on a canvas or a large-scale mural, his ability to create color-loaded abstract design, often combined with photo-realism, makes him an artist with great flexibility. His clients include New York area real estate developers, interior decorators, pharmaceutical firms, breweries, restaurants and a number of private residences, in addition to frequent gallery shows. "I'm always growing and learning," he states. "My work is a microcosm of every personal and aesthetic encounter that seizes my day." 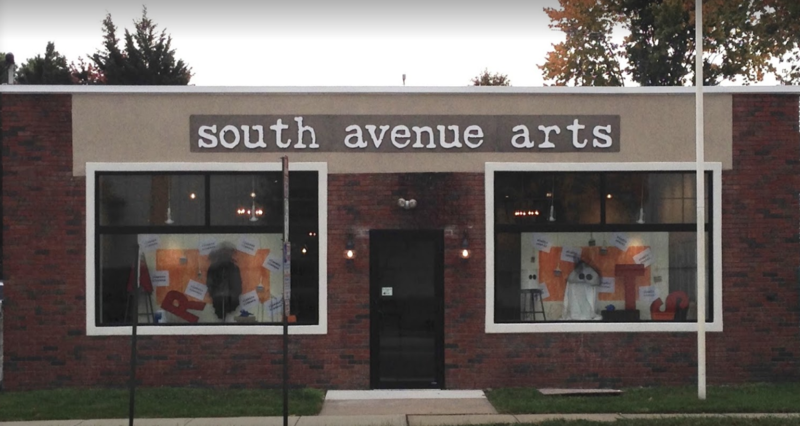 South Avenue Arts is a creative, cooperative, community art space. Located at 221 South Avenue in Garwood, NJ, we offer semi-private art studios for rent, a large shared co-working art studio, kids' art classes, adult art classes, summer camp, and an art gallery selling handmade local art, jewelry and gifts. Our unique space is also available for fundraising event rentals, Sunday party rentals, kids birthday painting parties, and group painting parties. Like us on facebook to keep updated. And follow us on instagram @southavenuearts. Hippy dippy moon child at heart, I'm a creator of all jewelry with the intention of making you feel your very best blessed self! Wear your handmade Contigo by yenny pieces for fun, good vibes or as spiritual tokens to brighten your day and your wardrobe. All my jewelry is handmade with gemstone beads and crystals and added findings and charms in metals and ceramic. When introduced to the oddities, curiosities, and taxidermy community, it was surprised that she welcomed it all with an open mind. This offbeat artistic does not limit her creativity! Once seeds are planted, she waters them and lets her imagination grew beautifully wild. At the moment, she is working with animal bones, shells, and taxidermy animals to create her jewelry, pieces, and shadowboxes. Sidenote: Madre.India is an ethical artistic. Her inventory is dead on arrival. Absolutely nothing she's ever made has been killed for the sake of making a buck. Veronica Schoen is a 29-year old up and coming, self-taught artist born and raised in Sussex County, NJ. Veronica was exposed to the arts from a young age, growing up in a house raised by two artists. Her parents were wonderful in encouraging her to explore her creative talents and expose her to numerous different styles of artwork. Veronica has not had any formal training or schooling other than the techniques she's learned through her family. In a sense, Veronica was born with art running through her veins which continues to pump strongly, serving as the greatest passion in her life. 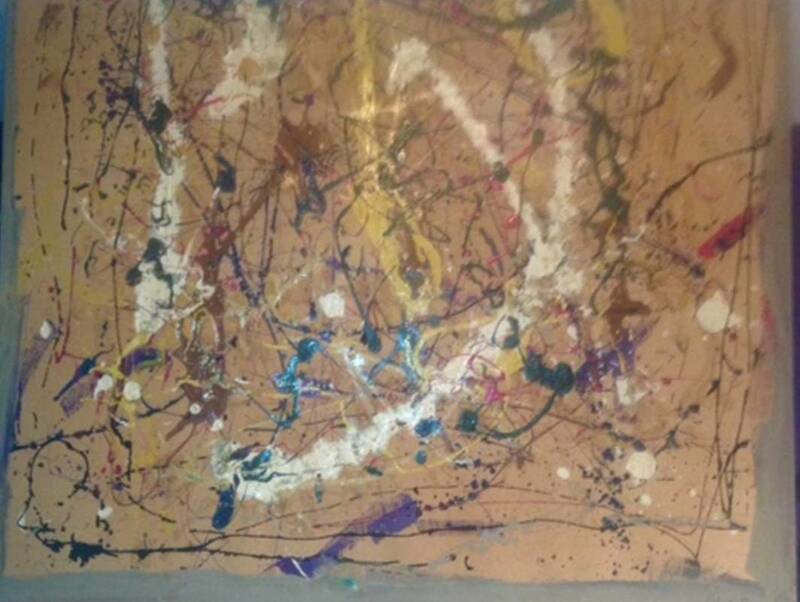 Her style of art falls into the modern abstract fine art category. Artwork being her most healing form of therapy, Veronica has been fortunate enough to turn her passion into a business as well. Today her thriving business has given her the opportunity to work as an artist full time, allowing her to explore all the facets of her creative ability. I began my love of glass sitting in church looking at the light reflecting through the stained glass windows. Always wondering how something so beautiful could be created. It was in my early 20’s that I took my first stained glass class. There was not a lot of information available at the that time so I did a lot of experimenting. I never stopped learning. I built and worked in my home studio for years honing my skills. I started doing commissions for private homes and teaching friends and family. I have worked on several historic restorations projects. I continue to take classes whenever and where ever they are available. In 2010 I bought my first kiln. My love of all things glass blossomed. Warm glass changed my entire perspective and vision of what is possible with glass. Megan Stypulkoski is a young and emerging painter, ethnobotanist, and writer. She works with oil and watercolor media, creating works that are whimsical and strange. While sense of humor is important in Megan's work, she also explores the stiffness and awkwardness many of us experience in our social lives. Her newest project combines her interest in plant biology and art through the exploration of some of the most economically important plants' histories, complemented with personified illustrations of fruits and vegetables. Mystic Hawk Soaps is a small batch artisan soap maker. We also make lip balms, lotions and body mousse. Russ Wills recently earned his Master of Fine Art in Photography from Academy of Art University. with fused glass that nearly parallels his passion for photography. Wills’ current work is morphing into a combination of photography and fused glass. In some projects, including his thesis work, fused glass is an important element of the subject matter for his photography, while in newer work prints are fused into the glass itself, shifting the genre from photography to glass art. For Wills, glass has morphed into a metaphor of life. Glass is simultaneously strong and fragile. Loosely speaking, rock crumbles into sand, which can be converted into glass. When crushed, glass becomes sand, and with enough pressure, sand turns back to rock, completing an ongoing cycle of life and death. Fusing glass involves exposing glass to such extreme heat that the glass takes on a new form. The process, like life, can destroy the glass. When embraced and honed, however, the intense, violent heat is necessary to make the glass become far more interesting and beautiful than before.